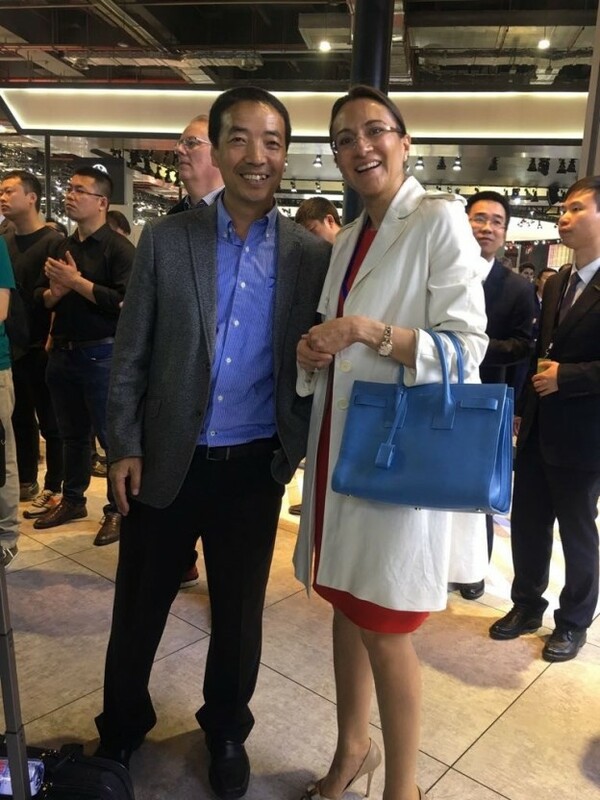 Vanessa Moriel, LIASE Group Managing Director Asia, poses for a picture with a Volvo Car Senior Executive. 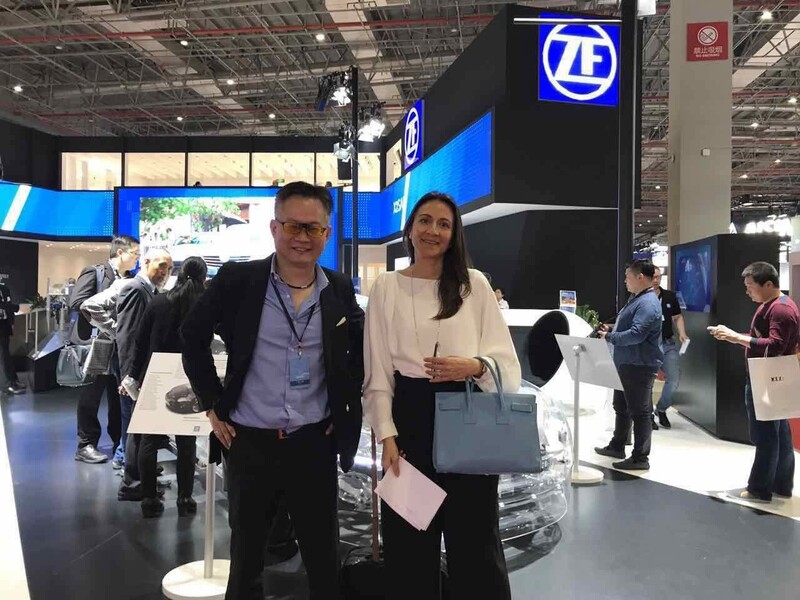 The LIASE Group’s Vanessa Moriel, Managing Director Asia, attended the International Automobile Industry Exhibition (Auto Shanghai), which was held from April 21-28, 2017 in Shanghai, China. 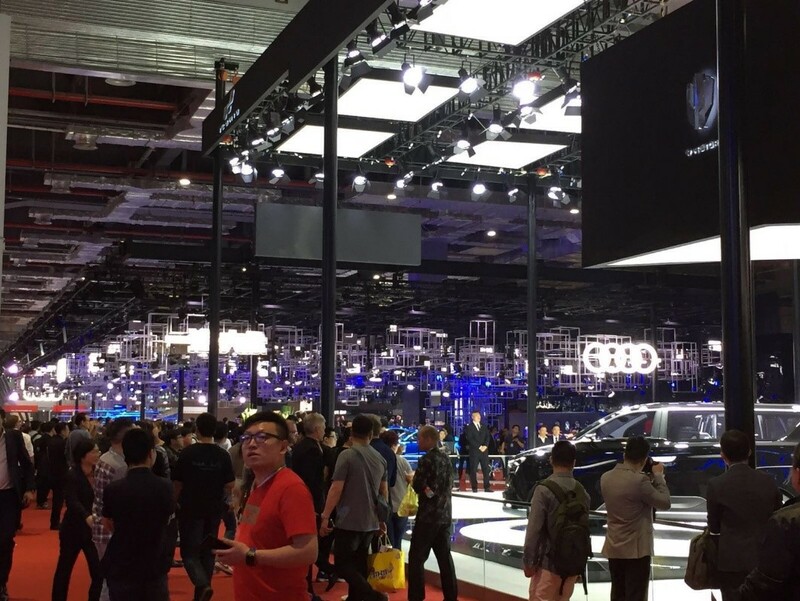 Auto Shanghai is one of the largest auto shows in the world, where many of the latest automotive models, technological innovations and concepts are unveiled. 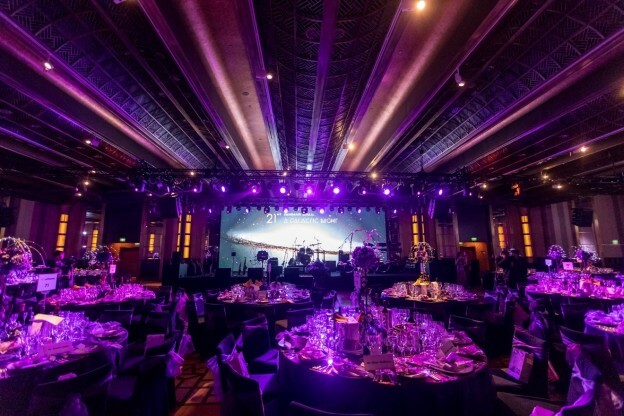 The biennial event featured most of the major automakers – both Chinese and global – and showcased approximately 1,400 vehicles, of which 113 were world debuts. Several trends emerged from the auto show in Shanghai, including the prominence of SUVs. 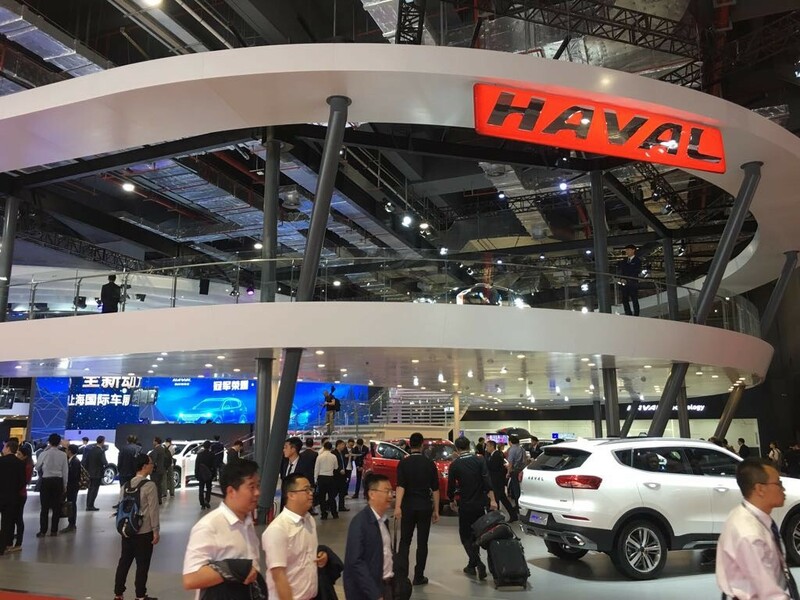 There is a growing demand for SUVs in China and many local and international automakers seized the occasion to exhibit their SUV models to car enthusiasts. Audi exhibited its electric SUV-Coupe, the E-tron Sportsback. Toyota, Volkswagen, General Motors and Ford displayed their new electric and indicated that they planned to further expand their range of electric products in the future. 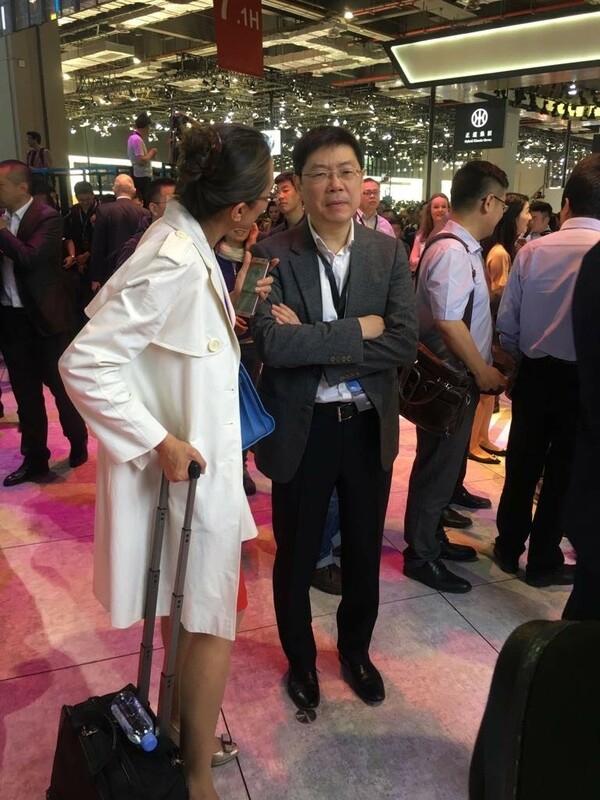 Autonomous driving and connectivity was another major focus of the Shanghai Auto show. Several car manufacturers exhibited car models with smart technology and Internet connectivity. Chinese automaker SAIC Motor introduced its Roewe I6 model, a smart car that launches an automatic self-check and can offer drivers advice on weather and road conditions. 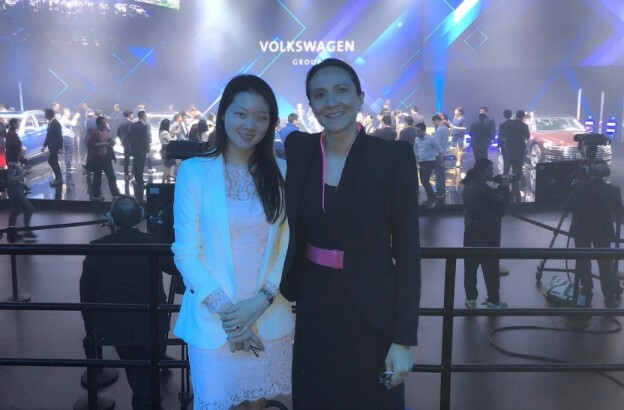 Volkswagen announced that it was working on a self-driving electric concept car as well as a partnership with an AI company. 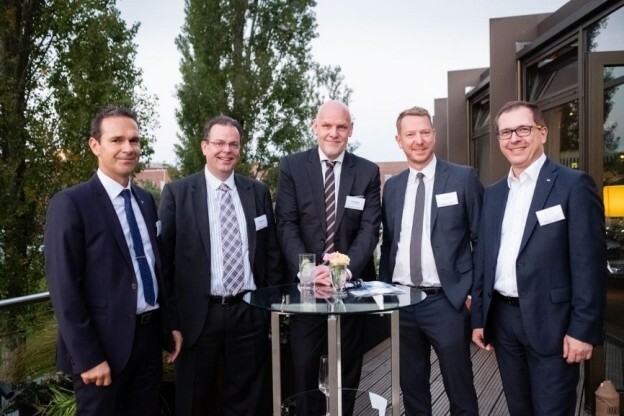 Several automotive executives discussed the possibility of partnering with Internet companies to develop in-car AI systems, further underlining the move towards automated driving and connectivity. Auto Shanghai also included several exhibits of the latest in car sharing and personal mobility technologies. 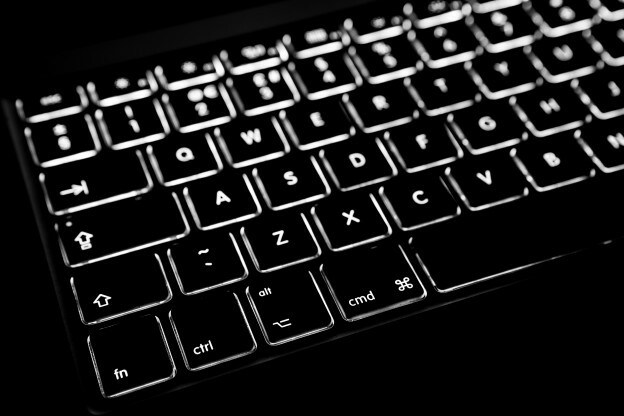 For example, Chinese company Lynk & Co introduced its first vehicle, a small electric SUV, co-developed with Volvo, which includes digital locks for car sharing, among other features. 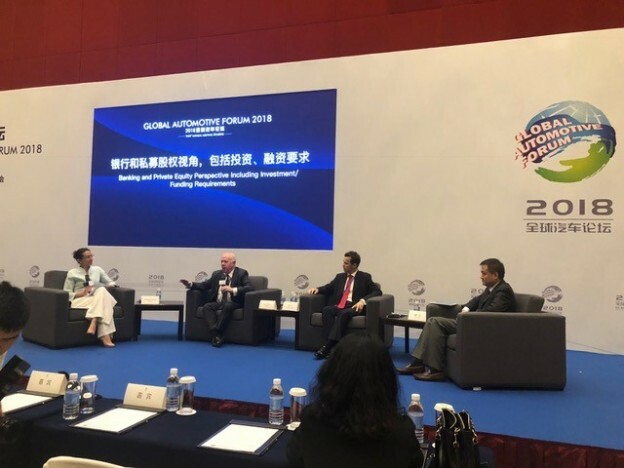 Auto Shanghai was a great opportunity for the LIASE Group to witness how technological innovation is having an impact on the Chinese automobile market and to learn about some of the latest innovations and trends in the global automotive industry. 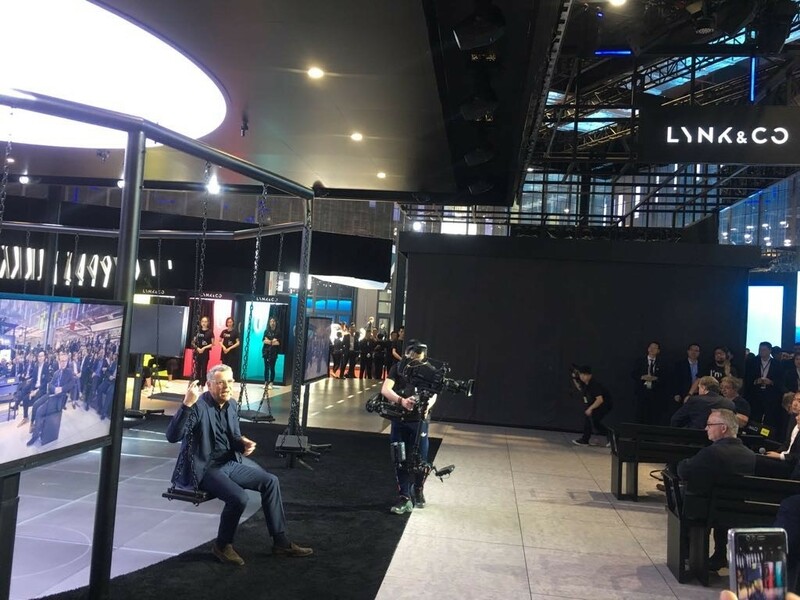 Like in previous years, LIASE Group had the chance to connect with many executives, leaders and professionals who were also at the auto show. 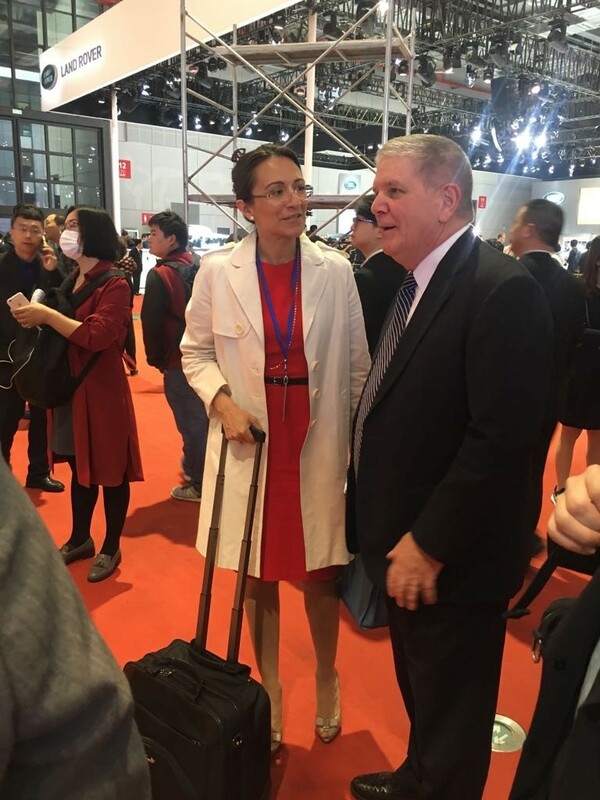 Vanessa Moriel speaking with a Ford Asia Executive. 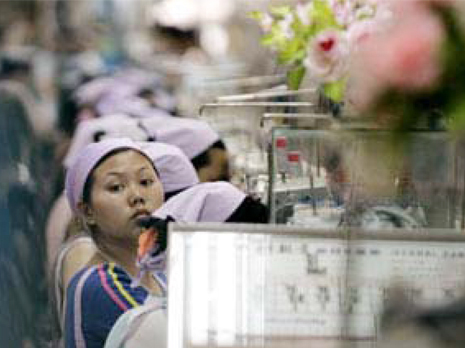 Vanessa Moriel speaking with a Volvo Global Executive. 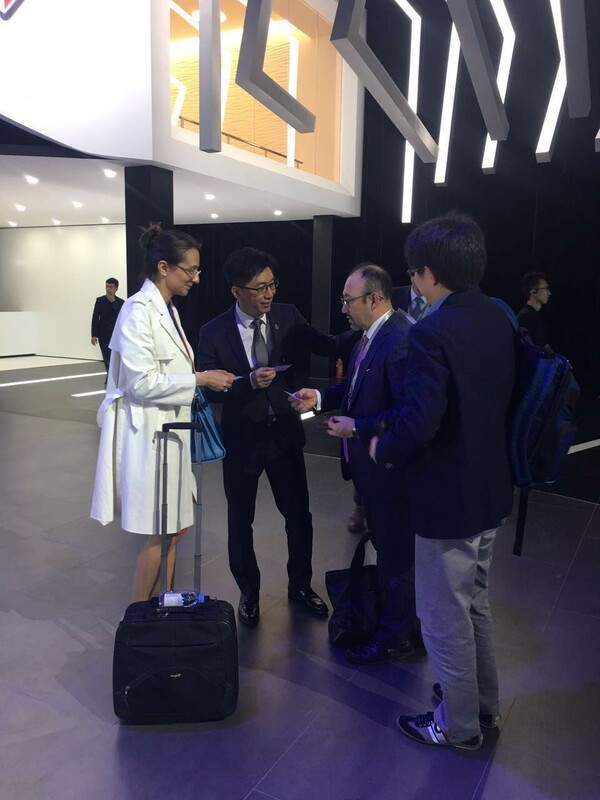 Vanessa exchanging business cars with Borgward and Deloitte Executives. 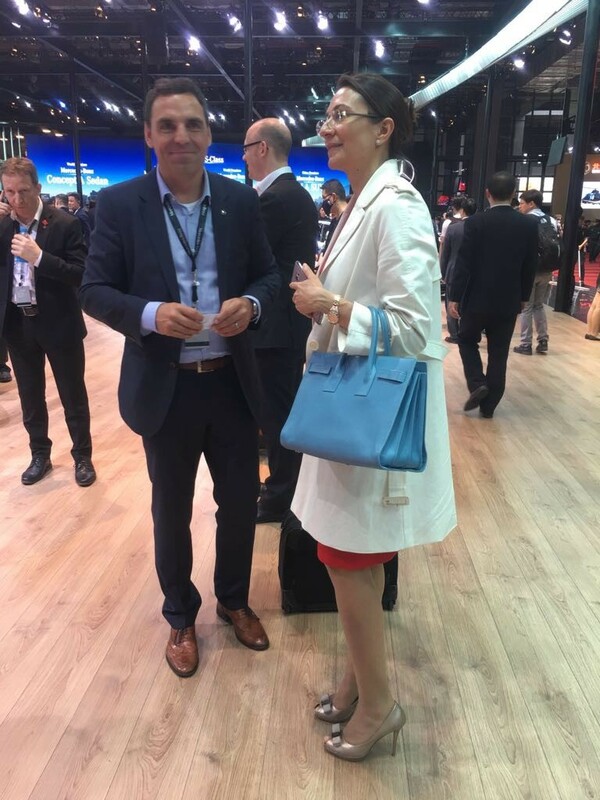 Vanessa Moriel speaking with a Mercedez-Benz Executive. Vanessa Moriel speaking with a Link & Co Global Executive. Vanessa Moriel posing for a picture with a Delphi Executive. 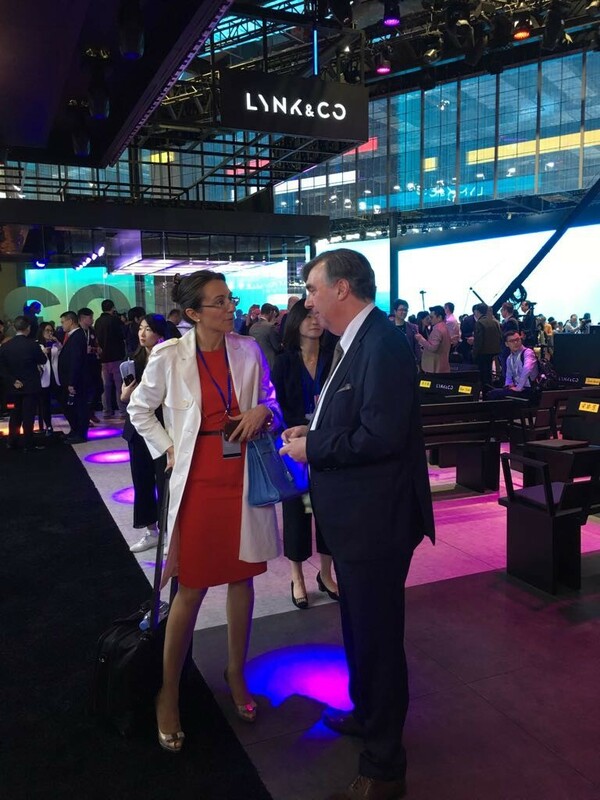 Lynk & Co at their press conference during the Shanghai Auto Show. 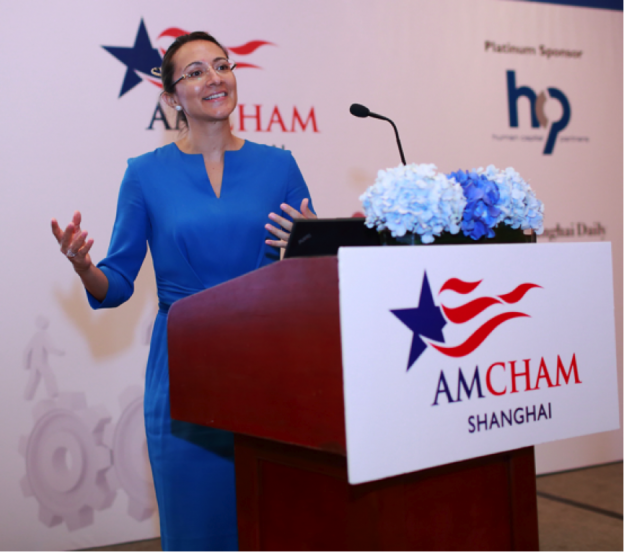 The biennial event featured most of the major automakers – both Chinese and global – and showcased approximately 1,400 vehicles, of which 113 were world debuts. 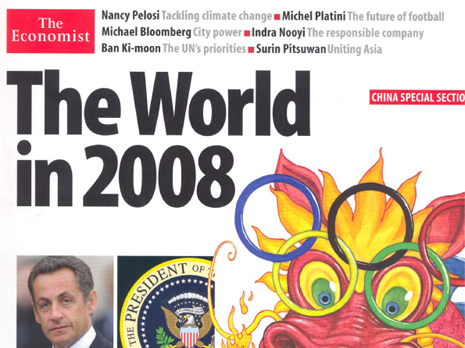 Thousands of people attended the week-long event. 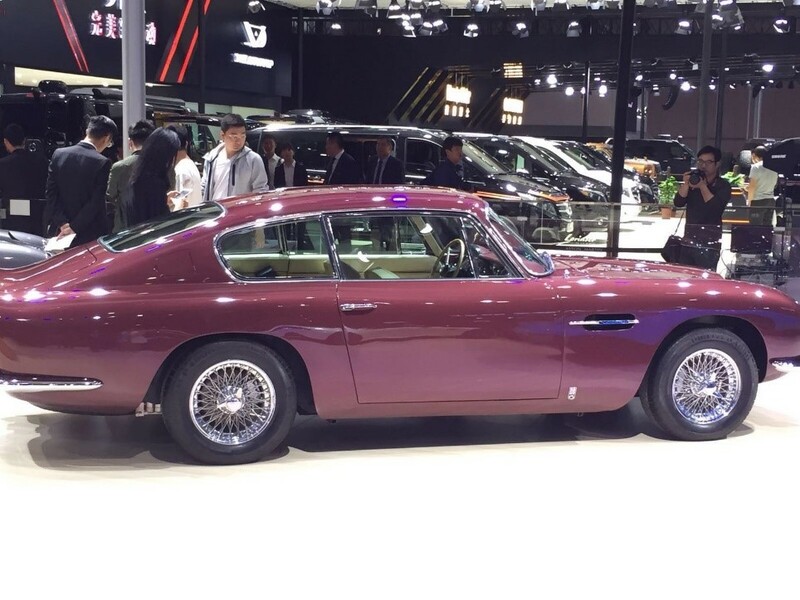 An Aston Martin Classic on display at the Shanghai Auto Show. 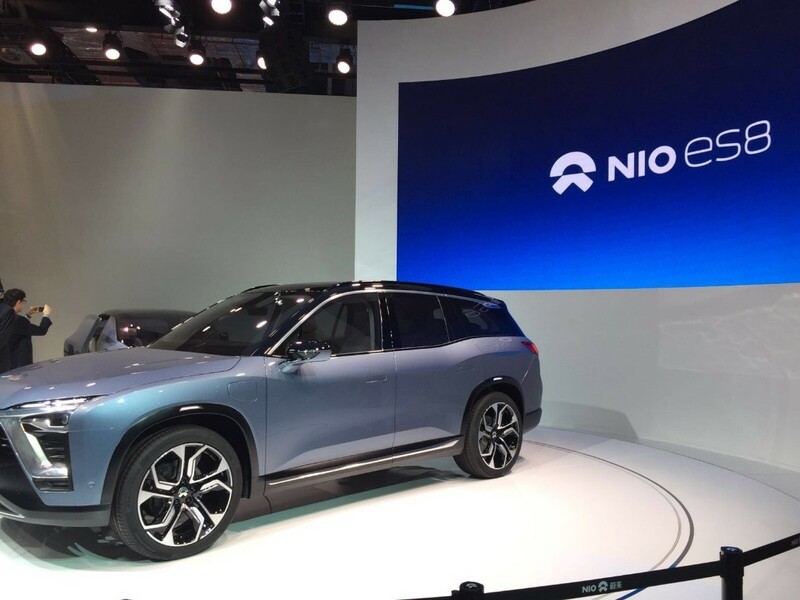 NIO showed off the ES8 full electric SUV concept at the Shanghai Auto Show.